Smiling woman, artistic makeup. Happy girl isolated. 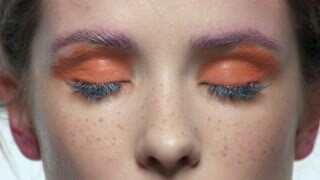 Cheerful woman wearing artistic makeup. Girl rolling eyes. Emotions effect on health. Eyeliner applying close up. 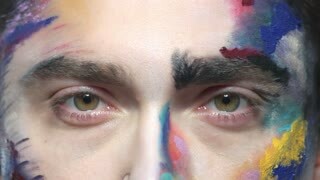 Artistic eye makeup. 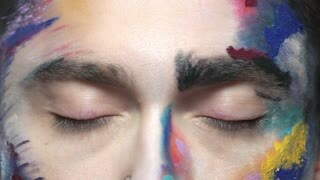 Artistic face makeup. Attractive woman with green eyes. Artistic eye makeup macro. Beautiful eyes close up. Eyes of scared man. Artistic face makeup macro.